Need a Last-Minute Christmas Present for a Taxpayer? 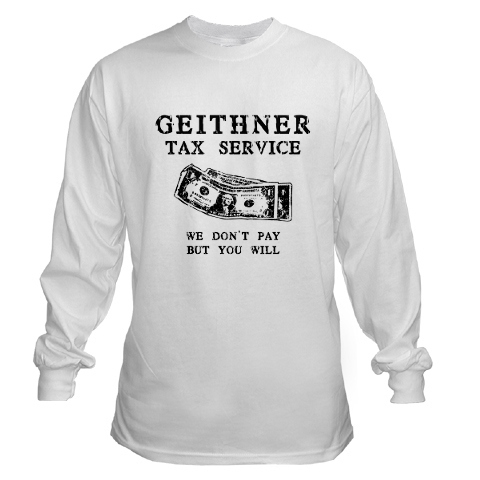 For those of you who can’t find zhu zhu pets, here’s an option sure to bring a smile – a long-sleeved t-shirt honoring the Secretary of the Treasury. Maybe if you’ve been very good all year long, Santa will bring you a special Tim “Turbotax” Geithner free pass, allowing you to cheat on your taxes and get away with no penalties once you’re caught!